Eric Michael is a husband and father of two sons. The proceeds from book sales are deposited directly into the scholarship funds for his sons. He enjoys outdoor family activities like fishing, hunting, camping and traveling, as well as treasure hunting at thrift stores and yard sales. Mr. Michael has been buying and selling used items for resale for over 14 years. He has have sold over 10,000 items online at an average of over 300% profit. The Almost Free Money series provides readers with step by step instructions and personal examples of how this system can be applied by anywhere in the world by anybody, regardless of their experience level. The Almost Free Money series has sold over 50,000 copies worldwide, and has received well over 95% 5-star ratings on Amazon.com and GoodReads. What is the Almost Free Money series? 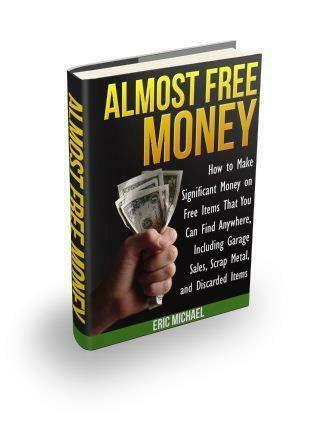 The Almost Free Money series is a collection of books designed to help entrepreneurs and used item sellers build successful home businesses with very little initial expense and no prior internet selling experience. Mr. Michael has spent hundreds of hours researching different avenues of making money from home. He has also applied many of these ideas into my own selling portfolio. He can tell you what works and what does not. Over 14 years of selling used items, Eric Michael has concentrated on items found for free or bought for under $1. By keeping purchase costs low and selling costs high, he has been able to build an excellent passive income without spending much money. The Almost Free Money series examines a variety of routes that sellers can take to achieve similar results. Almost Free Money gives an overview of the system, and includes innovative instruction on where to find the best used and free items to sell, where to sell them for maximum profit, selling scrap metal, how to sell components from items that other sellers think is junk, finding free gold and silver at garage sales and thrift stores, organizing your business and also an appendix list of 540 free items that you can sell on eBay and Amazon. Passive Income for Life is the complete story of how Mr. Michael built a $50K Amazon inventory by buying used items at second-hand locations for under $1 and reselling them for up to $200 on Amazon.com. He provides readers with a business plan, explain how to find the best items, which types of items sell best on Amazon, how to process orders, and how to quickly build an Amazon business that will pay you consistent passive income paychecks of $200-2000 a month for as long as you maintain your inventory. Passive Income for Life is a #1 bestseller in the E-commerce category on Amazon Kindle. Other titles in the series include Fast Cash: Selling Used Items for Profit and Garage Sale Superstar, which gives readers garage sale tips for increasing profits generated by hosting garage sales, yard sales, and estate sales. Eric Michael is also the webmaster at Garage Sale Academy.com. GSA contains over 80 pages of content regarding how to increase profits at garage sales, yard sales, and rummage sales. There are also many pages that teach visitors how to sell used items for profit, sell high value scrap metal, find gold and silver at second-hand locations, and how to research online. 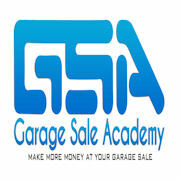 GSA also hosts the Garage Sale Talk forum and a blog. The Eric Michael author page on Amazon.com contains links to all of the Almost Free Money books with user reviews and book descriptions.